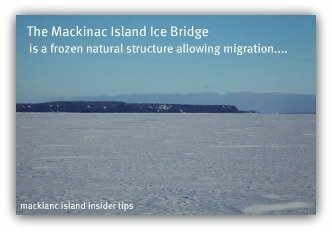 Is the Ice Bridge to Mackinac Island going to form this year? 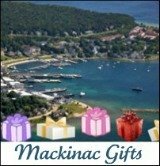 That is a common question from residents and non-residents wanting to have another way to get off or to the Island after the last ferry stops when the Straits of Mackinac becomes too dangerous. It takes below zero weather and calm winds to allow this massive natural structure to form over such a large moving body of water. 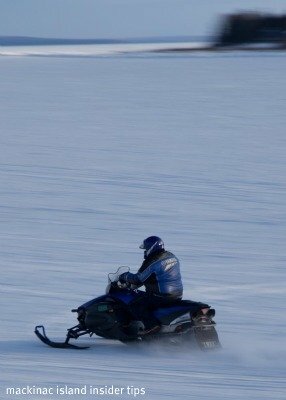 It allows a group of hardy people to zip across the ice from St. Ignace to enjoy a winter day or evening on Mackinac. And it allows residents to have a sense of freedom from living on a small remote Island during the long and frigid winter months to head over to St. Ignace. 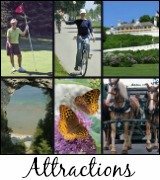 The local restaurants, bars and year round inns and hotels are thrilled that tourists can come and enjoy Mackinac Island year round! The Coast Guard cautions people that the ice bridge is extremely dangerous. It usually is open for a short period due to the fluctuating winter temperatures and having strong winds blowing the ice out of the area in a matter of hours. Unfortunately, people have died crossing the Ice Bridge especially at night. Whether from intoxication or just getting lost on this "huge ice floe" people have started across and never have gotten to the other side. St. Ignace is the beginning of the Ice Bridge to Mackinac. A group of residents from both St. Ignace and the Island place Christmas trees into the ice for people to follow. They maintain the trees and also check the condition of the ice on a regular basis. The route begins near Doud's Market in St. Ignace. 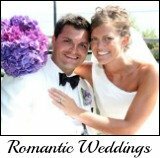 Check out Doud's deli sandwiches (delicious!) and ask about the safety of the ice before venturing out by yourself. 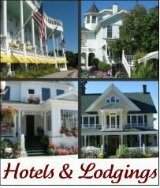 Insider Tip: If you have not seen the exquisite movie, Ice Bridge - Mackinac Island's Hidden Season you must get a copy! Click here to read about it and to order it. 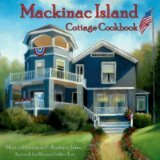 Click here to order your copy of the Mackinac Island Cottage Cookbook today!